Click here for Clausewitz vs. Sun Tzu Round I.
It’s hard to imagine that the two most influential writers on war, Sun Tzu and Clausewitz, never discussed the part seaborne operations should play during a conflict. Perhaps in Sun Tzu’s case it is more understandable, being that he wrote from an ancient perspective, when things like global maritime trade were not en vogue. In Clausewitz’s case, the omission is nearly inexcusable. By the time of his writing trade and battle on the high seas were certainly not novelties and were indeed an integral part of the economic and military functioning of every civilized nation. It’s true, Germany was never known as a sea power, but to completely omit any mention of the uses of a navy in his writing is quite glaring. Can, then, the theories of these two men be applied to war on the oceans and if so, whose translate most seamlessly? I believe that the ideas of Clausewitz are most easily transferred to war at sea. 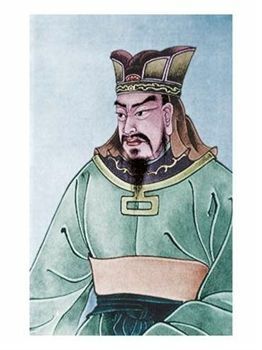 Sun Tzu claimed that if all his theories were executed that the general could basically win all the time. Clausewitz understood the unpredictability of war, the “friction”, and that even the best laid plans are often meaningless once the fighting starts. The idea of the fog of war I think is especially apt when talking about naval warfare not only in the sense that the chaos of the battlefield causes confusion, but literally fog itself. Sun Tzu did acknowledge the difficulty weather can cause for military operations, but this is especially true on the ocean. A quick look at history makes this clear. The Spanish Armada of 1588 was already having a difficult time fighting the English ships when the “Protestant wind” blew and scattered the beleaguered fleet. Other ideas of Clausewitz, and even some of Sun Tzu, can be applied to war at sea. The notion of strength and, in particular strength at the decisive point, can be useful. Also, the morale of the troops, or sailors, is immeasurably important. Ships crews were often pressed into service and the specter of mutiny was always something to be concerned with. Elizabeth I would have best identified with Sun Tzu. I think it could be said that she put into practice the Tzuian notions of attacking the enemies plans and using surprise when her fleet met the Spanish Armada in the English Channel while is was on its way to the Netherlands. Her navy also employed the idea of liquidity and maneuver, using a greater number smaller, faster ships to defeat the Armada. Clausewitz would most likely have been the best to adept to new technologies. 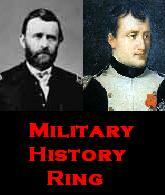 In his own life he witnessed the changes in artillery pieces and the evolution from muzzle to breech loading rifles. In Sun Tzu’s time the technological advances were less dramatic and though he may well have been equal to the task of adjusting his philosophies, Clausewitz, having lived through a time of great technological advances would be better equipped to deal with them. This was orignially an essay written for my War and Diplomacy class. When one thinks of war and of those who fight it, many names may come to mind. Patton, Rommel, Montgomery, Zhukov would certainly be mentioned in any conversation about World War II. Certainly Napoleon and Frederick the Great would be spoken of from wars of an earlier time. The list of notable warriors from history would be endless. But more than any two individuals, the words of Karl von Clausewitz and Sun Tzu in their works On War and The Art of War, respectively, have influenced the study of the conduct of wars. While these two men, separated in history by over two thousand years, are both thoroughly studied and praised for their council on war fighting, and, indeed, share many ideas, that does not mean that they are in total agreement. Their theories do diverge in certain areas. Perhaps the most striking contrast between the two is in their separate means in reaching the end of victory. Sun Tzu advocates that the best way to achieve victory is to do so without fighting at all. He declares, “To subdue the enemy without fighting is the acme of skill.” The thwarting of the enemy through the defeating of his strategy before the fighting actually begins, and separating him from his allies is the best course of action. The preferred methods for success in these matters would be the use of diplomacy, propaganda, and secret agents. By undermining the enemy’s plans and allies in this way, the need for actual battle became unnecessary for victory. Clausewitz would disagree. One of the key, if not the most integral, of Clausewitz’s concepts was that of the center of gravity; the attacking of the enemy’s army, capitol, or ally. Essentially whatever it is that is the main hub of his power. Clausewitz said that the enemy’s center of gravity is “the point which all our energies should be directed.” He also stated that only “by daring all to win all, will one really defeat the enemy.” Michael Howard has noted that Clausewitz may have, when asked, insisted that work of diplomacy and spying was better left to the political leaders, not military. But it is surprising he would not give more credence to these ideas like Sun Tzu did, especially since he clearly realized the close relationship between politics and war. So in contrast to Sun Tzu’s idea of winning the victory without a fight, Clausewitz stresses the fight as the key to success. Another diverging area of these two war theorists is the notion of the predictability of war. Through Sun Tzu’s words one can make the assumption that he saw war as a rather predictable event. He goes as far to say that if a commander is able to follow his instructions, “I will be able to forecast which side will be victorious and which defeated.” Even from an expert whose counsel has endured for centuries, this is a bold claim! Clausewitz saw things very differently. Having been a soldier since his early teens, he no doubt knew firsthand the confusion of the battlefield. A commander may have the best laid plans, but the “fog” of the battlefield can “prevent the enemy from being seen in time, a gun from firing when it should, a report from reaching the commanding officer.” There are uncontrollable factors that render plans, often times, mostly useless. A third difference of opinion between Sun Tzu and Clausewitz is the goal when engaging the enemy army. As we have seen, Sun Tzu praised victory without fighting as “the acme of skill.” It stands to reason then that he would also favor the taking of an enemy army intact. This is done, as we have seen, most successfully by not having to fight to achieve victory. In this way, Sun Tzu says, “your troops will not be worn out and your gains will be complete.” In Clausewitz’s mind, the goal of the engagement was to destroy the enemy’s army. As we’ve seen already, “by daring all to win all” is the only way to have total victory. Despite these differences, Sun Tzu and Clausewitz do have much in common. Both put a premium on the importance of morale, both for the commander armies and the home front. They understood that giving the men a reason to fight, and keep on fighting is critical. They also would agree that in the best cases wars should be short. Sun Tzu says that, “there has never been a protracted war from which a country has benefited.” This idea is directly related to that of morale. The longer the fight, the more it taxed not only the fighting man, but the home front as well, as more conscripts would be needed and more taxes levied to pay for them. 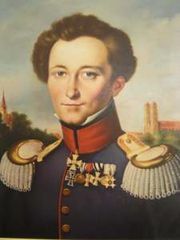 Clausewitz recognized the importance and expressed it by saying, to paraphrase, a good general can give the orders, but the soldier must have the wherewithal to follow them. Choosing between these two is difficult because they both have strengths and weaknesses. If pinned down to make a decision, which I am, I would probably agree more with Clausewitz mainly because of his recognition of the friction that occurs on the battlefield. Though Sun Tzu’s words of, “a victorious army wins its victories before seeking battle” are crucial to successful war planning, Clausewitz’s practicality ultimately wins out.